You all know that I am a sucker for cute and luxurious packaging! 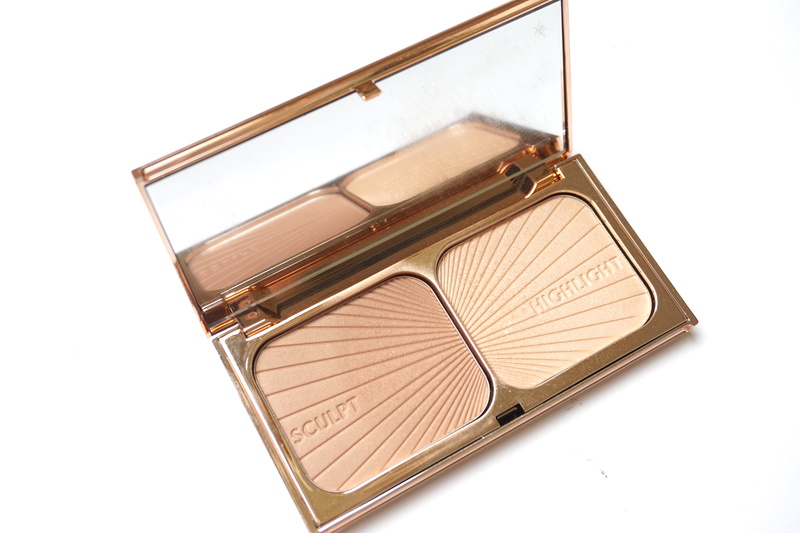 So, it’s no mystery as to why I had my eye on this amazing palette: Charlotte Tilbury Filmstar Bronze & Glow Palette. 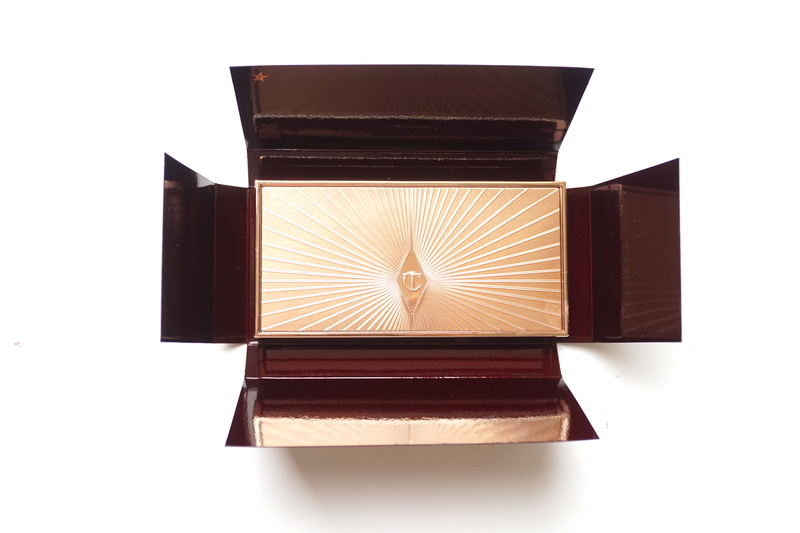 This is my first Charlotte Tilbury purchase and I am so excited about it! Honestly, this might be my favorite palette of all time. Want to know why? Let’s check it out! Charlotte Tilbury is an amazing makeup artist who started her own company/makeup line. Since the last year her products/brand have grown to worldwide proportions. This doesn’t happen by coincidence! 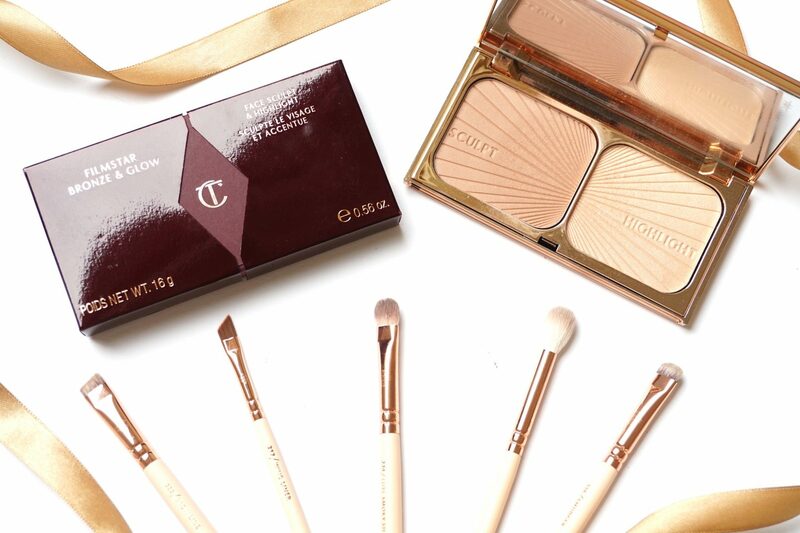 Charlotte Tilbury’s high-quality brand is now available in the Netherlands for the Dutch public at De Bijenkorf! She has her own counter (which looks amazing , with a purple sofa, feathers and a gold counter where the makeup and skincare products are gloriously displayed.) The Filmstar Bronze & Glow palette was one of the items I had my eye on, particularly because the packaging looks absolutely stunning! The gold features and detail on the front of the palette absolutely captivated me! This is a secret that silver screen sirens have kept to themselves for years – and once I share it with you – so will you! With FILMSTAR BRONZE & GLOW you can slim, sculpt, shorten, trim and highlight your features. It’s amazing what clever shading and highlighting tricks can do to your facial framework – it’s an illusion that I use all the time, particularly for red carpet scrutiny, and my clients can’t get enough of it. Take what you were born with and maximise your assets with FILMSTAR BRONZE & GLOW! Tadaaa, the Holy Grail of the bronze and highlight items! Even the powder has the same pattern as the front of the palette. Why must they do this to us?! If used too often, the beautiful pattern will disappear! 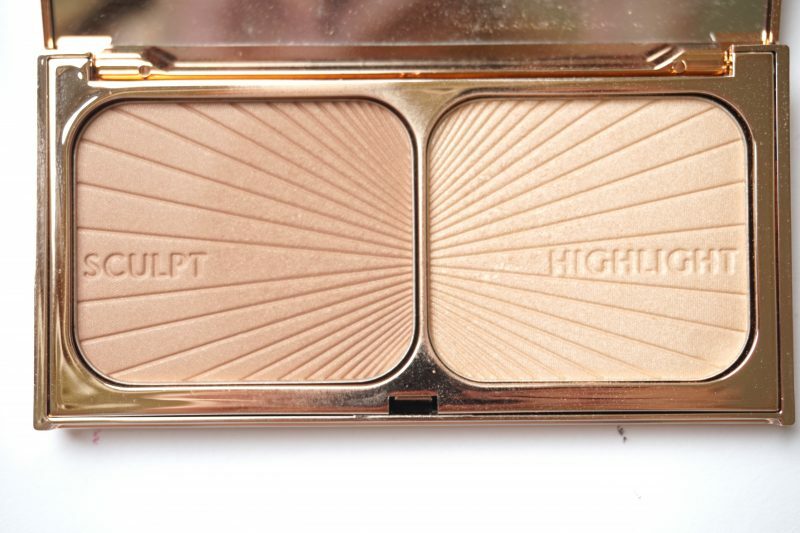 The Sculpt is for bronzing and contouring the face, while the Highlight section is for accentuating the cheekbones, nose bridge, cupid’s bow and under the brow arch. Here, you can see a swatch on the back of my hand. I must admit that I was very delicate when I put my finger in the powder because I didn’t want to disturb the lovely pattern. The highlight color has a pearly/peachy finish which applies with such fine smoothness that there are no harsh flakes. With some highlighters, I experience a dull, unnatural “powdery” look, causing a very dry and unflattering result on my skin. On the other side of the spectrum, some highlighters are almost “glittery”; the shimmer flakes will scatter across my face, giving me a very juvenile appearance. I want a highlighter that will stay in place. One that enhances my own features. Otherwise, what is the point? I’m sure that you can relate! The sculpt powder is just the perfect color, not too warm, while also not giving my face a flat, grey-ish tone. It’s just the perfect cool color for the hollows of your cheeks, while simultaneously being subtle enough to use for contouring the nose. This is, to put it bluntly, THE best color for contour I’ve ever owned! Again, I must confess! Although this powder is my favorite, I don’t use it often because I’m afraid that the pattern will disappear. This is just one of many examples of how important design and packaging are to me, personally! I have the feeling that many of you may understand! The results are tremendous! First of all, the palette is beautiful by design; you need only to purchase it, in order to appreciate the intricate attention to detail and the human interest involved in making a cosmetic product a true work of art. Consequently, I use this palette in many flatlays for my Instagram posts, because of the fact that it undeniably commands the viewer’s full attention. This palette conveniently contains a bronzer and a highlighter, no need to pack two separate, possibly bulky, items. Both powders are smooth, blendable, and match my (and, I imagine, a diverse array of other’s) skintone perfectly. This Charlotte Tilbury palette also has an option for darker skintones, so this brand is clearly, and refreshingly, innovative and progressive. I think we are all in favor of having every skin-tone represented through the brands we support! I would gladly recommend this palette to every person who wants to have an ethereal glow, while also defining their features. Both powders are amazing, I can’t even say which one I prefer! They offer two colors for light/medium and dark skintones so you have the option of finding a palette that actually suits your skin-tone. How many brands can truly offer this? It may be on the expensive side, HOWEVER you get two high-quality products in one! Not to mention supporting a progressive brand that caters to all the various skin tones which fill our world with the uniquely individual beauty that continues to grab our attention to this very day! You can buy the Filmstar palette in light/medium here and the medium/dark here for €65,- ($68,-) at the official Charlotte Tilbury website. 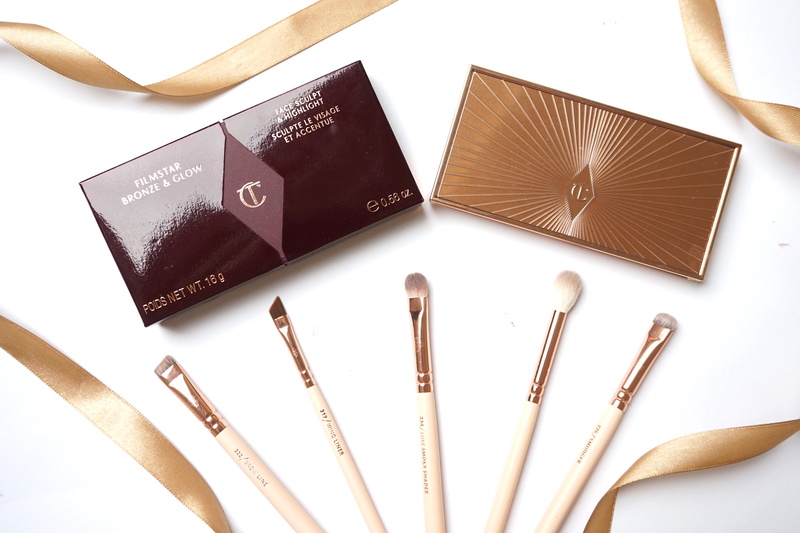 Do you own a Charlotte Tilbury item? Right! That was exactly what I was thinking when her brand was available here. All the items are just gorgeous! I’ve never tried her lipsticks, maybe I have to purchase at least one 😀 Thankyouu for reading! Love the photos! I’m so, so jealous of you..
Jouw foto’s zijn allemaal echt zo ontzettend mooi he :O dit setje ook! De Bijenkorf verkoopt dit, toch? Dankjewel! Ik had geluk dat er die dag felle zon aanwezig was anders zijn mijn foto’s niet mooi helder 😛 Ja ik heb deze bij de Bijenkorf vandaan! Ik heb het direct bij de counter gehaald, kreeg toen ook nog een leuke tester van één van hun lipsticks. I love love love this palette! 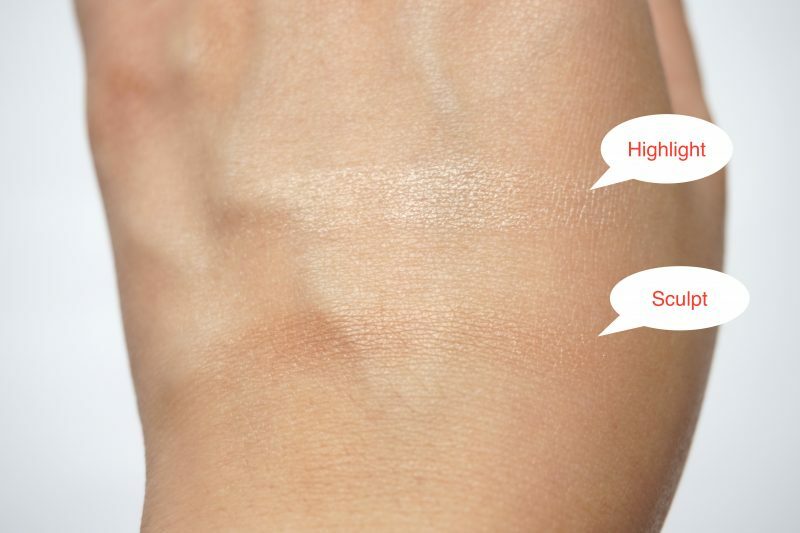 It’s the product that convinced me of the powers of bronzers. Pretty right! The gold packaging makes it look amazing!